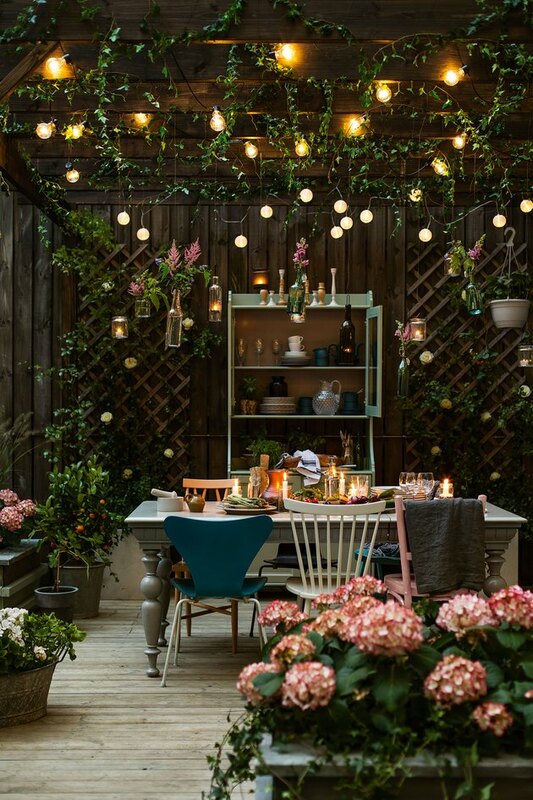 Outdoor lighting doesn't need to be bland. If done right, it can lend a magical touch to any space. 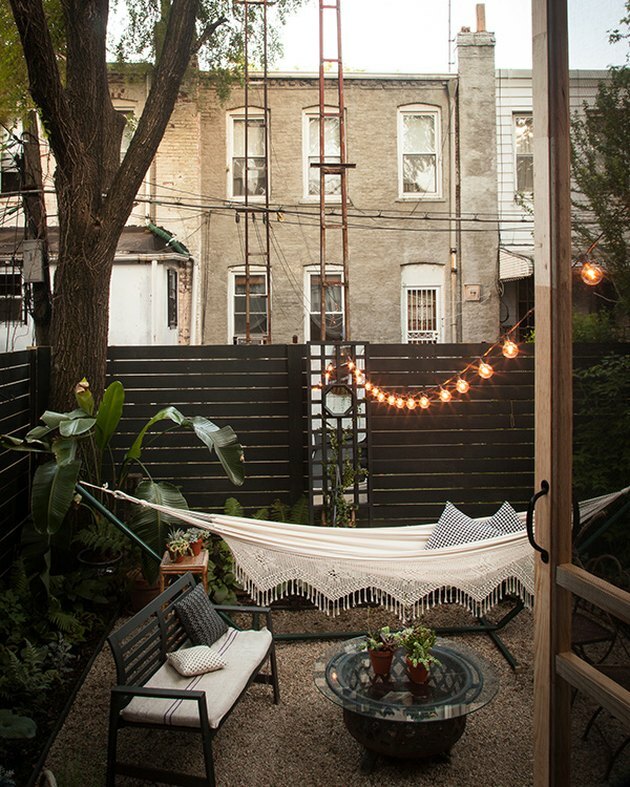 These 10 outdoor lighting ideas are anything but ordinary, and relatively easy to install. How romantic is this? 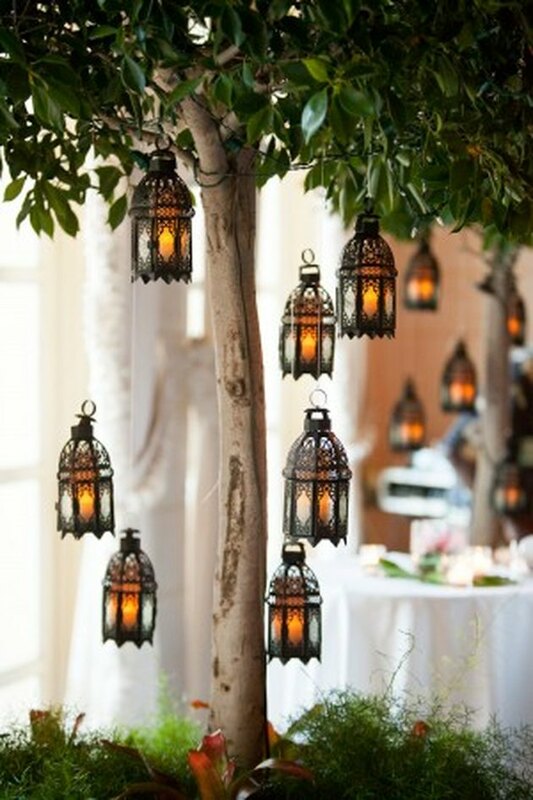 Simply hang some assorted lanterns onto trees surrounding your outdoor dining table. You can place real or LED candles inside. 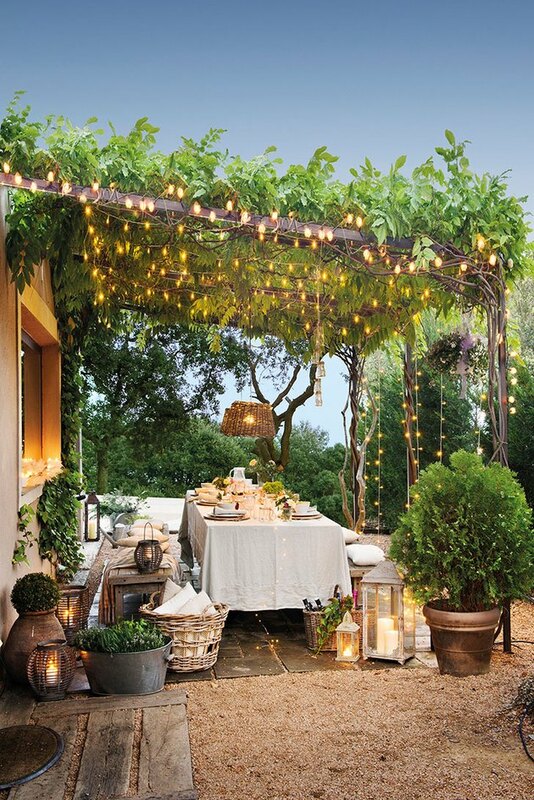 Create the look of Spanish moss with string lights. Just wrap them around your pergola and let the ends cascade downward. 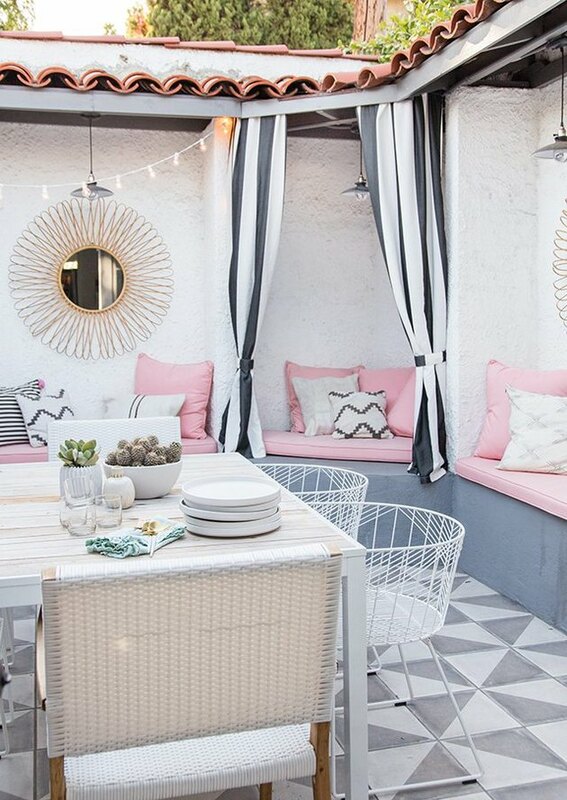 Calling all boho-chic fans: Moroccan lanterns make for great outdoor lighting. 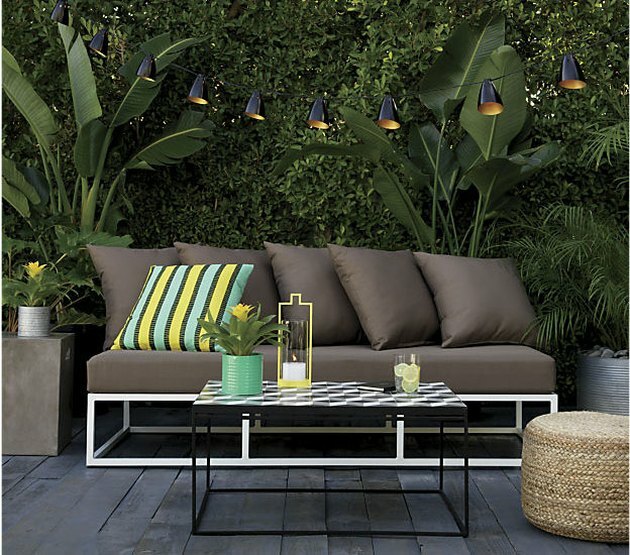 Outdoor Edison bulbs offer an industrial touch. There's no harm in keeping things simple. String a strand of large lights across your yard. If you want to get fancy, string lights with conical shades are a cool look, too. Why not use the power of the sun to light your yard? 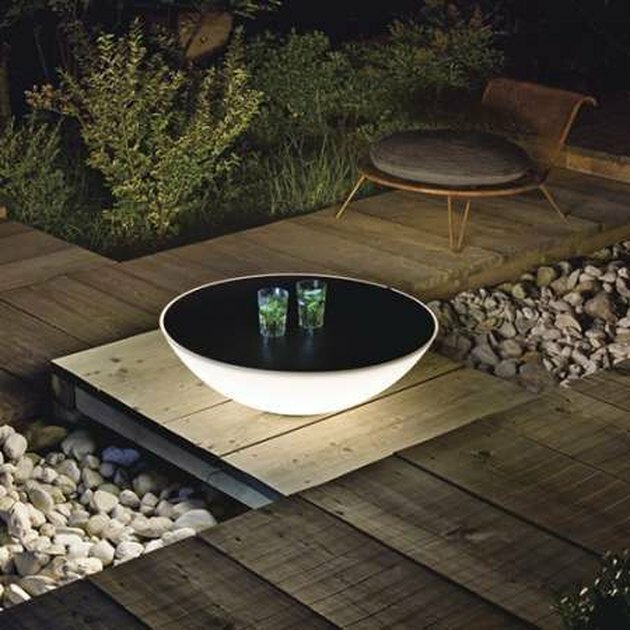 A solar floor lamp that also functions as a table is the perfect multitasker. Is there any better backyard addition? 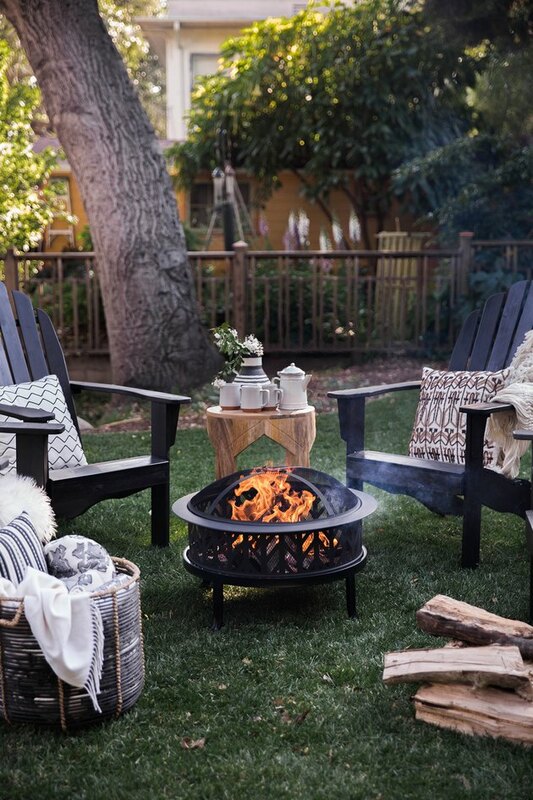 Fire pits offer not only light, but also warmth. Here's how you can DIY. Here's a unique idea: Hang pendant lights from the overhanging part of your roof. Now this is a grand look. Hang multiple wall sconces that offer both uplight and downlight on your home's exterior.